The wife of the Imperial Beach man arrested in Iran says her husband had odd behavior before he left to visit his mistress. 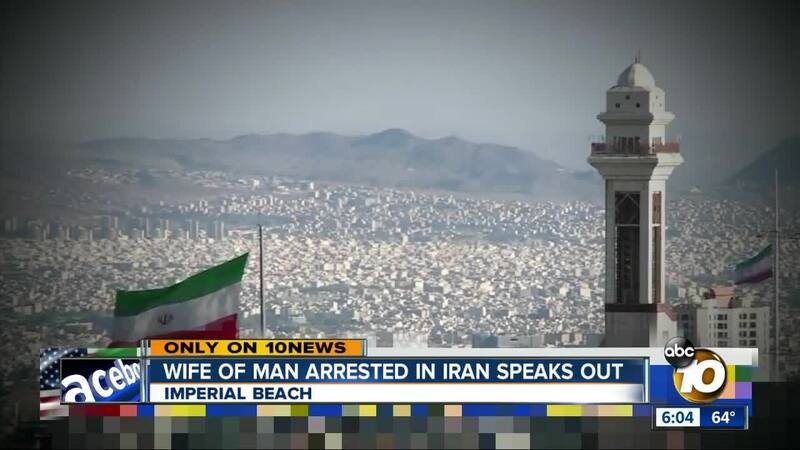 IMPERIAL BEACH, Calif. (KGTV) - The wife of the Imperial Beach man arrested in Iran says her husband had odd behavior before he left to visit his mistress. Michael White left unexpectedly in the middle of the night last July, something he had done every July for six years. Except for this time, he didn’t come home. His wife, Guadalupe White, says Michael bought a shredder and destroyed documents before his departure. When she asked him about it, she says he told her to mind her own business. Guadalupe, who took care of Michael during six months of chemotherapy before he left, says he also had two cell phones, including one which used Arabic. She says her husband spent a lot of time on the computer and received new credit cards. She also told 10News she found an interesting list of goals. “He said, 'my goals are paying my bills and saving money. I want to go and marry my Iranian girlfriend and leave.' He wanted to live there and never come back to the U.S.,” said Guadalupe. After a missing persons report was filed, Imperial Beach Police searched her home and his computer. Then in December, a news outlet alerted Guadalupe that her husband was in prison in Iran. She doesn’t know why Iranian police arrested Michael. Even though she says he’s cheated on her for six years, she still worries about her husband. “I don’t want to think of someone hurting him because I still love him,” she explained through her tears. Guadalupe is holding out hope he comes home. “Bring him home. If he did something wrong here, maybe he can do his time behind bars here,” she said. Guadalupe contacted the State Department and Switzerland, which acts as a liaison between the U.S. and Iran, but has heard nothing. Michael’s mother previously told 10News that she knows why Iranian police arrested her son, and that he wouldn't be arrested for it here in the United States. She refused to elaborate. Guadalupe is meeting with FBI agents Monday morning to discuss these developments.